Consider the tremendous potential benefits of having a website. Still a new report from Visual Objects says a significant number of businesses don’t have one. And when they decide to build one, they avoid spending big. Two-thirds or 66% of businesses spend less than $10,000 to design, build, and launch a website. 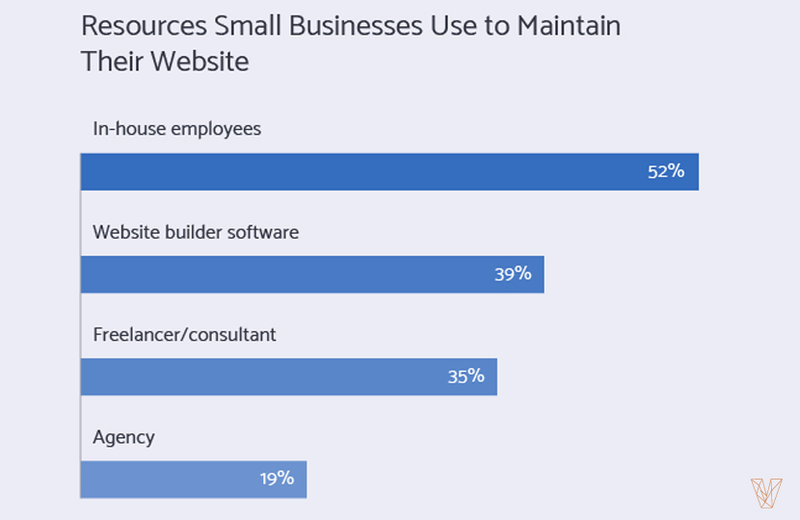 The report, titled “How Small Businesses Use Websites in 2019” looks to inform businesses about the importance of investing time and resources in creating a website. Visual Objects also said it wants to show businesses how to confront the challenges and costs associated with creating a site. If you have a business with a digital presence, your website is just as or more important than your physical store. And as consumer demand for digital transactions grow, having a digital presence will no longer be an option, especially for young consumers. In today’s digital world having a website is an indicator of the legitimacy of your business. For a growing number of people, you are not a real business unless you have a website. 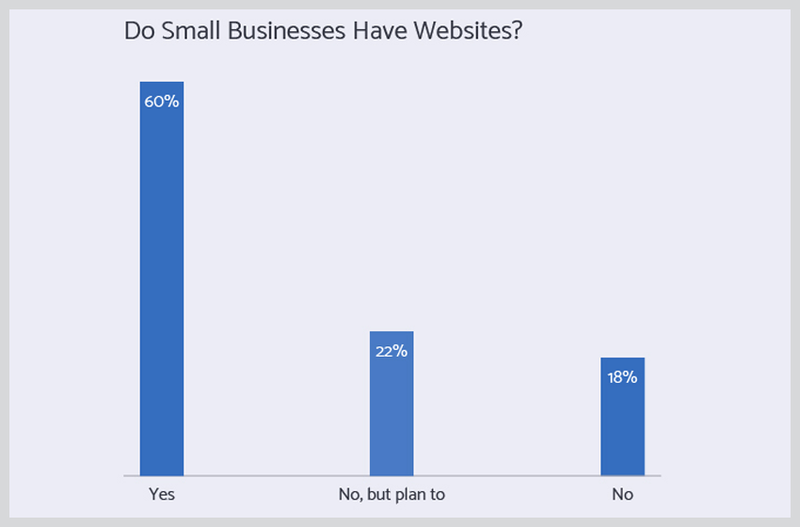 One of the most surprising takeaways from the survey is around 40% of small businesses don’t have a website. And of these 40%, the majority or 28% said a website is irrelevant for their business. Looking forward businesses are changing their stand. Twenty two percent said they plan to launch a site either in 2019, 2020, or later. But there remains a determined 18% who said they are unlikely to launch a website in the future. Twenty three percent of small businesses cited cost as the biggest reason for not having a company website. This is despite the fact there are now more affordable or DIY options in the marketplace for creating a website. When it comes to budget, 66% of businesses spend less than $10K for designing, building, and launching their websites. On the high-end of the budget scale, 19% of businesses spend more than $25K on their company website. Another option is using freelancers. Ardeeser said if you have a budget between $1,000 to $3,500, freelancers are the way to go. This will allow you to use experts without the high cost of specialized agencies. Half the battle of creating a website is running and maintain it. Small businesses use their employees, freelancers, and agencies for these tasks. Beyond the technical aspect of running the website, marketing and promotion are a big consideration for long-term success. In the survey 30% of businesses said they use their site to increase sales and revenue. Another 22% said it was to establish brand awareness and authority, with 17% stating it was to build relationships with customers. Taking advantage of the opportunities is still a challenge for small business owners. Low traffic and strong competition is a challenge for 19% of the respondents. 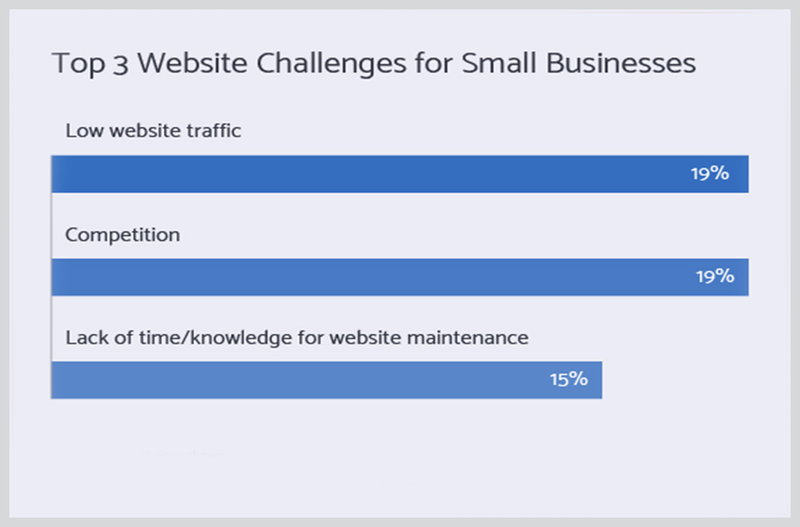 Another 13% said lack of time or knowledge as their biggest challenge in maintaining a website. The Visual Objects survey was carried across the U.S. with the participation of 529 small business owners and managers. The businesses represented in the survey have between 1 to 500 employees, with the majority or 54% having between 1-10 employees.